The FA Vase game between Erith & Belvedere and Frimley Green was never on my agenda for this afternoon. 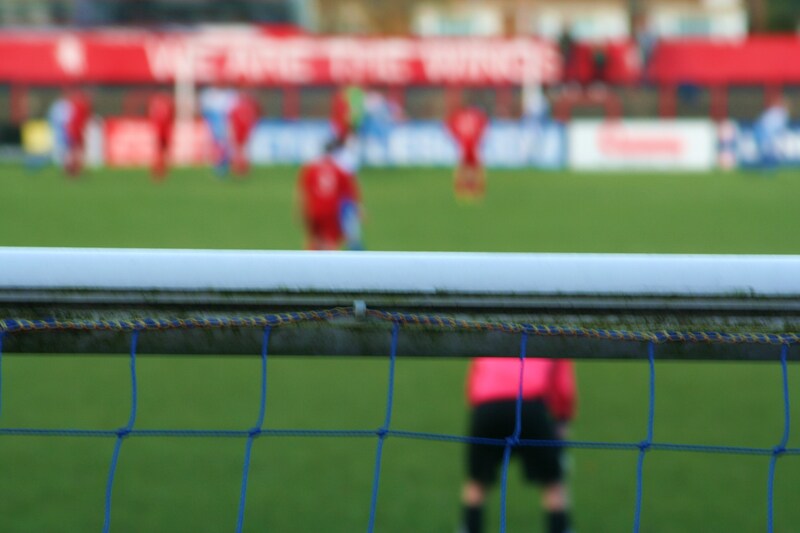 After all, I had had my fill for the weekend with Lewes v Harrow Borough yesterday. Yes, they were only playing 4.26 miles away from TBIR Towers. Yes, I had finished all my chores before 1pm and yes, CMF had to go food shopping. But I couldn’t find that one compelling event that would sell it to CMF. And then I somehow navigated onto their home page “Just to have a look”. Even she was struck by their home scores this season:- 4-2, 3-2, 1-2, 4-4, 8-5, 3-2, 3-2, 5-3 and 3-0 Fifty six goals in just nine games. The Deres were having a storming season in the Kent Premier League. After coming close to promotion to the Ryman League last season, finishing second to Herne Bay, they had continued their fine form, especially at Park View Road. However, they weren’t having it all their own way. Traditional rivals, Erith Town, were breathing down their neck, with games in hand, A third of the way through the season and there was already a ten point gap between the two Erith’s and Rochester United in third. Today’s visitors were Frimley Green, whose record in the Cherry Red Combined Counties League One was equally impressive. Played 11, won 10, drawn 1. This was undoubtably the game of the day and so I was soon pulling on the cycling shorts and hopping on my bike, waving the Fuller girls goodbye. 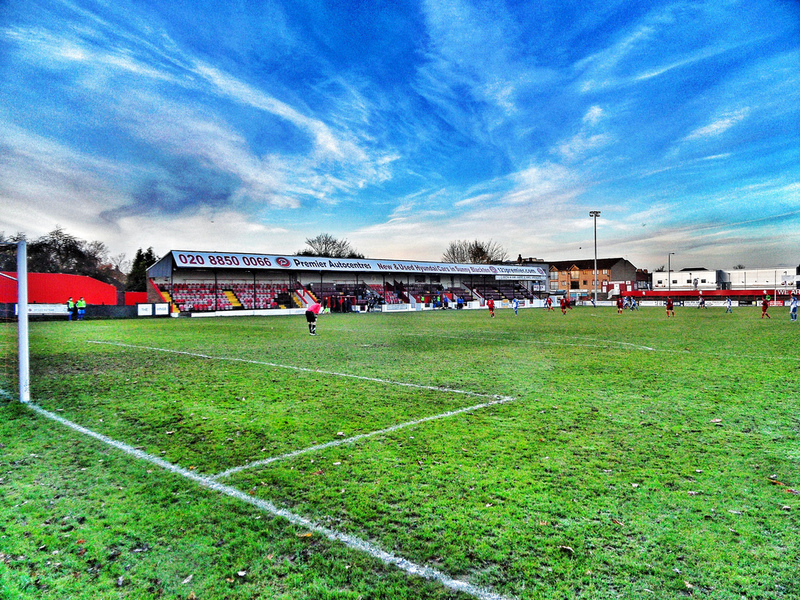 The club have been long-term live-in lovers with Welling United, after their old ground in Belvedere burnt down and then became a B & Q. 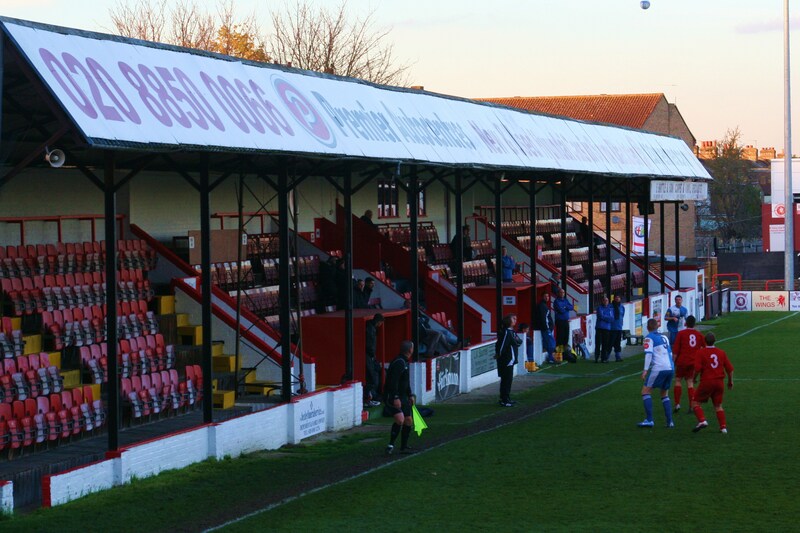 When the insurance cheque came through they invested it wisely in a new stand and their own clubhouse at Park View Road, so that they could generate their own revenue source. This also meant the club would not need to worry about the ridiculous details of ground grading as and when they progressed up the league. 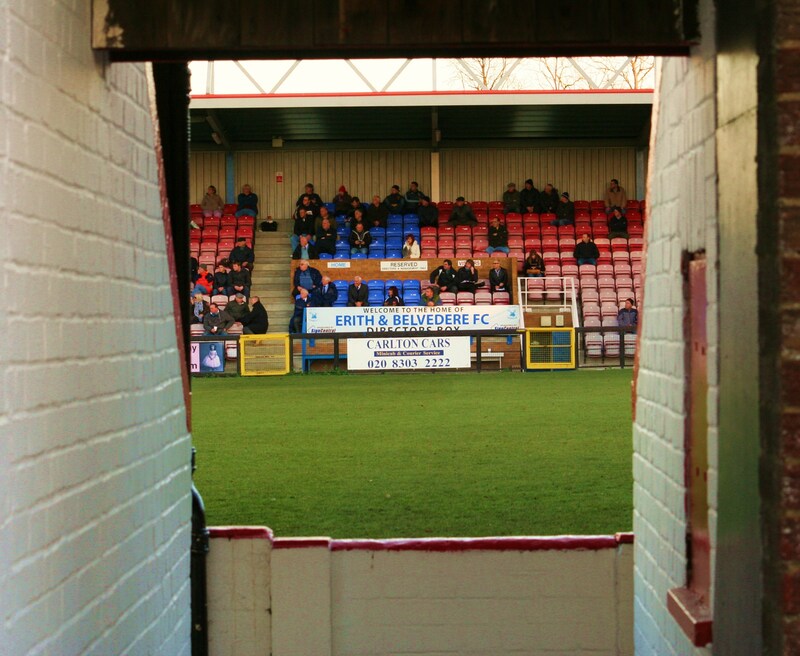 With the Ryman League due to expand their membership at the end of this season, the club were mildly excited about the future. Everything seemed set up for the step up. So, could this be their last season in the FA Vase? Another reason why I had to go to the game (did I really need anymore?). Erith & Belvedere 5 Frimley Green 1 – Park View Road – Sunday 18th November 2012 The one hundred or so people in attendance for this game weren’t disappointed. Another six goal game at Park View Road for Erith & Belvedere, a place in the third round proper and a cheque for £1,200, all in a couple of hours work. It only took the home side nine minutes to take the lead when George Benner headed home a free-kick from close range. The rest of the half was full of niggles and missed chances, especially for the home side who should have been out of sight long before the break. They can perhaps count themselves lucky that they finished the half with eleven on the field after keeper Chalmers-Stevens looked to have brought down a Frimley Green player outside of his area but both the referee and linesman didn’t see the incident. With the temperature falling fast in the second half I took up a position at the top of the terrace and watched as Benner, scored a second from close range before Frimley pulled one back on the hour mark. It was a game where the next goal would be vital. Fortunately for the Deres it went to them as Andy Constable firstly volleyed and then headed home to give them a three goal cushion before Lewis Wood rounded off the scoring with just two minutes left. The final score was probably a bit harsh on the visitors who played their part in an entertaining cup game. As I hopped on my bike I tried to position this game against my next football match on Tuesday night in Denmark when I visit FC Nordsjælland for their final home Champions League game. Twenty years ago the Danes were playing at the equivalent level of Erith & Belvedere, rubbing their hands with delight at £1,200 in prize money. On Tuesday, the Danes will be counting their prize money from the Champions League in terms of millions. Hope is not a strategy but it keeps dreams alive.